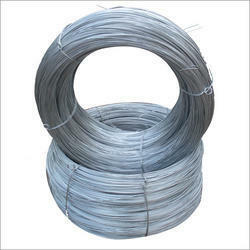 Offering you a complete choice of products which include gi binding wire, binding wire 25 kg packing, galvanized wire, ms binding wire and binding wire. We offer a wide range of G.I. Binding Wire, that are manufactured by using qualitative raw material and are known for high tensile strength and longer service life standards. Our range of Binding Wire is available at most competitive prices. Note : Prices May Varies as Per The Specifications. 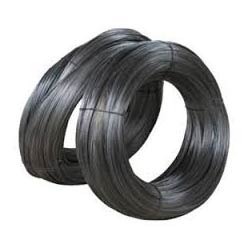 These galvanized wires for binding are generally used for construction. 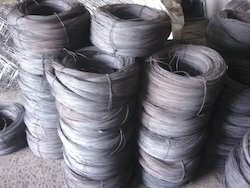 These galvanized wire are widely used for tying and support in the garden, plants hardware and other daily uses. As an eminent in the relevant industry, we are presenting a superior quality range of MS Binding Wire. Our skilled professionals use cutting edge technology and high grade mild steel while manufacturing this binding wire. Apart from this, our offered binding wire is tested against different parameters under the guidance of our quality examiners. Clients can avail this binding wire from us in different specifications and thickness. • Standard: AISI, ASTM, BS, DIN, GB, JIS Note : Prices May Varies as Per The Specifications. We are engaged in manufacturing and supplying Binding Wire. The offered wire is available to the clients in different specifications and designs at industry leading prices. Our provided wire is prepared under the supervision of skilled professionals using the best quality raw material and progressive technology. Apart from this, we offer this wire to our clients after examining it on different parameters. •Diameter: 0.40 mm-4.0 mm Note : Prices May Varies as Per The Specifications. Looking for Binding Wire ?